Are you tapping into the ever-growing demand for Legal Nurse Consultants? Right now attorneys around the country are looking for Legal Nurse Consultants like you to help them with their cases. Is Your Phone Ringing Off The Hook…? Or Does It Feel More Like You’re The One Chasing After Business…? Legal Nurse Consulting is a rewarding profession that provides you with excellent pay, flexible hours and the ability to tap into your experience and intuition as a nurse. But The Truth Is You Can Only Be Successful At It If You Learn The Nuts And Bolts Of Marketing And Running A Profitable Business. Unfortunately, that’s not something most of us learned in nursing school, is it? Which is why mentoring legal nurse consultants is something I’m really passionate about. Whether you’re just starting out in this field, have been at it for awhile but find yourself struggling to find new clients, or are just tired of having to work so hard each month to get new cases, I want to share all my secrets with you. I had started out as a nurse and then went on to law school and ended up working for a firm where I defended hospitals, nurses and physicians. I loved my job and did a great job… until the major source of my practice went out of business. I found myself without a job, pregnant with my second child, a huge mortgage, and the sole source of support for my family. I became a pioneer Legal Nurse Consultant – at the time many attorneys did not know what that was. I read all of the books on marketing I could find but there was nothing specific to Legal Nurse Consultants. There was nothing out there that could teach me HOW to get more cases. Obviously, I made mistakes and some actually cost me a lot of money. 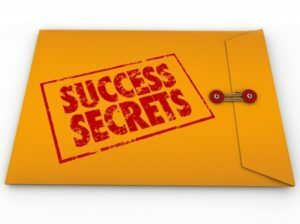 But over time, working with top-of-the-line business coaches and learning through trial and error, I figured out a system to get more cases and build relationships with attorneys. I ended up hiring eight Legal Nurse Consultants to work for me and I never had to worry about not having enough cases again. I decided it was time to mentor Legal Nurse Consultants on growing their business. I began coaching them and wrote a book, “The Legal Nurse Consultants Workbook: Turning Your Nursing Knowledge Into a Successful Consulting Practice.” My clients got amazing results, which was incredibly satisfying to me. Lorie Brown’s Coaching Program resuscitated my marketing efforts which resulted in doubling my client base in two months. 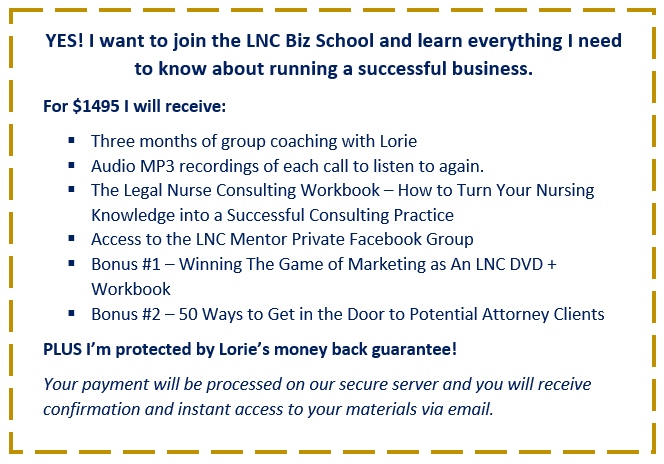 Before working with Lorie, I intended to take my legal nurse consulting business to the next level. But a busy family and work schedule procrastinated implementation of my marketing plan and the plan ended up on the bottom of my to do pile. I had decided to tackle the project when I had more time, which wasn’t looking to be very soon unless I changed my mindset and took action. My first step was to complete Lorie’s Coaching Program. I appreciate that Lorie freely shared her knowledge and experiences as a business woman, nurse and attorney and provided support, encouragement and accountability to our group. Through her coaching program, she motivated, energized and focused my marketing activities. My number of clients, income and confidence has increased by 100%. The take home point of the program that influenced me the most was, “No doesn’t mean never, it just means not now”. Are You Ready To Learn My Secrets So That Your Phone Is Ringing Off The Hook From Attorneys Looking To Pay You Top-Dollar For Your Expertise? I want to give you everything that I have used to create my business. 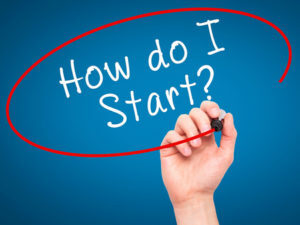 The best way to do that is through a LNC BIZ SCHOOL where you get mentorship on everything you need to know about marketing and running a profitable business specifically for legal nurse consultants. If you’re a Legal Nurse Consultant looking to get more cases please know that I don’t do these coaching programs very often. So if this speaks to you I hope you’ll join me. If you are committed to trying something new, because you’ve already tried everything you can think of and want tools that guarantee results. If you want a clear game plan, because you’re tired of experimenting with the latest marketing fads that get you nowhere. If you have a no-excuses approach and are willing to do what ever it takes to grow your business, but just need the right mentor to lead the way. Please know this Coaching Intensive is designed to start where you are now. Whether you’re just getting into Legal Nurse Consulting or have been at it for a while, you’ll be given the tools, strategies and support you need to propel you to more cases and more profits. Lorie Brown’s course Taking Your Business to the Next Level was well worth the investment! Lorie has not only the knowledge but the enthusiasm to help you make you and your business a success! Her real-life experiences and marketing techniques are do-able and inexpensive. The format of the class allows LNC’s from across the country to interact and share ideas while making each class member accountable for their own success Through the classes Lorie helped me to see what my own personal stumbling blocks were and she helped me “get out of my own way” so I could get my business started on the right path. I highly recommend Lorie’s class to anyone with an LNC business who wants to as the title says “take your business to the next level”. I took Lorie Brown’s class this past year. Before I started her class, I had one subcontractor that was full time busy. While I had good luck with marketing, I wanted her class to take my business to the next level. Lorie’s class follows a basic four week outline; the necessary components for a successful LNC business. Her motto that an attorney needs to know, like and trust you is very powerful-I find myself repeating that mantra (for lack of a better word) repeatedly. The information regarding the elevator speech was incredibly helpful, as well as her marketing suggestions. My business motto is to leave no stone unturned in taking my business to success. Her class provided me the additional impetus to super charge my business. I now have two subcontractors that are full time busy!! I do believe that any LNC that takes her class will have no regrets and can also have success!!! Congratulations! Once you put this easy to follow system into place, you are well on your way to getting more cases. It is simple, especially when someone shows you exactly how, including all the worksheets and samples of everything you need to get more cases. We took Lorie’s class and have received several more cases from attorneys since. Lorie is an enthusiastic encourager of other LNCs . Her encouragement helped me to appreciate the fact that I am a registered nurse with skill and knowledge that attorneys truly need in order to achieve successful case outcomes. Meeting and interacting with the other LNCs in the program enabled me to realize they experienced many of the same feelings of inadequacy that I struggled with. Having the ability to share information with each other during the program, I received insights into marketing giveaways that directly benefit attorneys, along with exhibiting and advertising opportunities that have assisted me in working toward expanding my LNC business. I repeatedly poured marketing dollars down a “black hole”, while achieving little or no return on my investment. I felt I was simply “marking time” as an old RN legal nurse consultant who was waiting to become old enough to begin receiving Social Security, when I could expect to have a regular source of income. I confidently inform attorneys of my hourly fee, working with them to establish initial time parameters for the requested service, contacting them should additional time be required and to explain the reason for the additional time. I have refocused my marketing strategy toward those endeavors that are directed at my “target audience” of attorneys and those that provide the most “bang for the buck”. Since the program, cases have come in one after another. The key was changing my mindset from an “old RN” who was “marking time” to the mindset of an “experienced RN” who has a lot of knowledge to benefit the attorney-client. I have acquired confidence in speaking with attorneys regarding their potential cases, secure in my ability to rely on my nursing education, training and experience to provide the legal nurse consulting services their cases require. 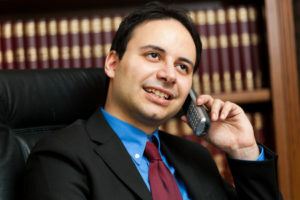 I have obtained three new attorney-clients that regularly provide casework. I have been retained as a nurse expert witness. We will meet together for six live online group coaching sessions to cover the areas in your practice where you are struggling to get traction. These dynamic sessions will answer your questions and give you practical advice you can implement right away. If you miss one or more calls please be assured that every call will be recorded and made available as a MP3 (audio) and MP4 (video) you can download and listen to around your convenience. Prior To Our BIZ SCHOOL You Will Be Given Instant Access To A HUGE Depository Of Digital Marketing Tools. I encourage you to dive in right away so we can discuss any questions you have during our live online training calls. 8 audio trainings you can download and listen to at home or in your car on the ins-and-outs of marketing your practice. A bonus audio interview of attorneys on what they look for when hiring Legal Nurse Consultants. 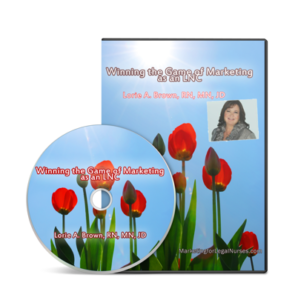 A bonus training audio on marketing tips for Life Care Planners and Nurse Experts. You also get the transcripts of these calls if you prefer to read and highlight the information! Sample marketing collateral I use to get more cases – proven templates to deploy in your business! Homework (or Home Play) that will help you apply what you’re learning right away to get more cases now! You’ll will receive an electronic copy of the digital version of The Legal Nurse Consulting Workbook – How to Turn Your Nursing Knowledge Into a Successful Consulting Practice. I really encourage you to use this workbook in conjunction with our coaching calls. The more prepared you are with questions the more you’ll get out of our time together! 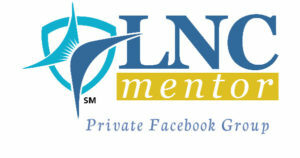 You’ll also get additional coaching and support on the LNC Mentor (Get More Cases) Private Facebook Group. (I don’t know about you, but I’ve discovered no one really understands a nurse like another nurse…) This will be a great place to interact and support one another. You can post questions for me or for your colleagues to benefit from our collective experience. As soon as you signup I’ll send you an invitation to join us so we can start interacting even before our first session! I want you to have all the tools you need to be successful. So I’m giving you some additional bonuses. These aren’t just fluffy throwaways, these are amazing tools to help you quickly become more adept at marketing your business. This program is a downloadable MP4 and workbook you’ll get as soon as you sign-up. This will walk you through marketing, advertising and networking with specific step-by-step instructions for each. Are You Ready To Work With A Caring, Supportive Mentor That Is Committed To Getting You Results? The investment for this program, including the bonuses is $1495. Will your investment pay off? Yes! 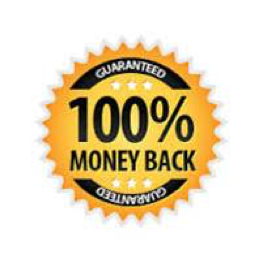 It won’t take long to enjoy a healthy return on investment with lucrative new cases coming your way. My goal is for you to get at least one case during the 90 day program. Of course you could continue to do what you’re doing now… but if you’re willing to step up and invest in this mentorship, know that I’ll be investing in you. As I mentioned in the video, you can give my team a call at 317-465-1065 if you have any questions about this School. I don’t run these programs very often so I don’t want you to miss out on this opportunity. So please feel free to give us a call! It took me years of trial-and-error to learn everything I’m going to share with you in just a few short weeks. And even better you’ll get my loyal and enthusiastic support as your mentor. Prior to Lorie Brown’s LNC Mentor Class, “Taking Your LNC Business to the Next Level”, I had a lot of fear regarding marketing and speaking with attorneys. The role playing, elevator drill, possible attorney objections and other marketing techniques have tremendously diminished that fear and increased my confidence. Lorie’s LNC workbook is a great asset and compliments the class. Her feedback & personal encouragement are definitely what I needed! I would definitely recommend Lorie’s classes. Thanks Lorie!! I want this program to empower your career. If you complete the program and don’t feel you received value, just send me a note and let’s schedule a call about a refund. So rest assured that you can make this investment in your career with confidence. I can’t wait to get started! As soon as you sign-up I’ll send you your materials so you can start preparing now for a more profitable and enjoyable year in a career you love! By empowering yourself you can expect not only more cases and more money but also more satisfaction in your career. I can’t wait to work with you! P.S. And remember like I mentioned in the video, My staff is available to answer any questions you have about the program so please give us a call at 317-465-1065. I would hate for you to miss out on this opportunity to learn everything you need to know about growing and enjoying your business.